My first Project Clean House update – yay! 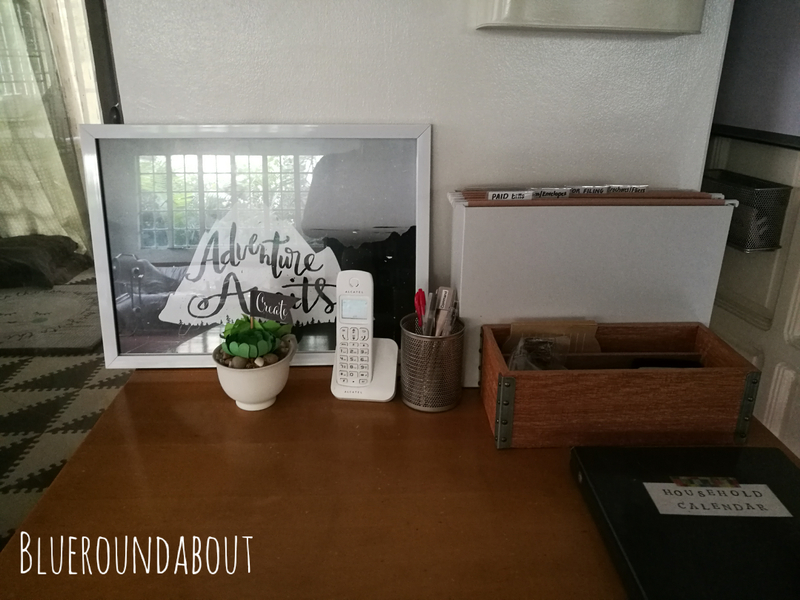 I gave myself a deadline of until today, April 21, to tackle Part 1 of Project Clean House 2017 – that’s the command center, kitchen, school station, and dining area/under the stairs/living room/entry. I started Part 1 on April 2, but I gave myself two weeks because I had to factor in our Holy Week holiday. As you can see, I haven’t finished even half of Part 1! Switch back the black frames for the white ones (for the print). Orient the new help on the household binder, grocery lists, laundry and cleaning schedules. Find a spot for Papa’s mail. It’s been quiet here lately. We’ve been away for one – Holy Week break in the Philippines! – and I’ve spent the rest of my free time tackling my Project Clean House tasks. It hasn’t been easy!!! I tweaked the calendar and grocery templates I did last year, and cutting everything, gluing the pages together, even punching lines of holes, has been quite tedious. It has always been tedious – I still can’t figure out how to make the work easier, or quicker. I also attempted not to buy anything new while I clean. I’d take note of the items we needed, and promised myself to buy everything after I finish cleaning and organizing everything, but that didn’t work out too well. For instance, I didn’t have any other letter holder for the mail my dad still gets. And I didn’t have any extra clipboards lying around either, so I had to get a couple, too. I needed large white art paper for backing the print in our Command Center (Item #7 for that area – switch back the white frame). Then I decided I wanted a black and white print for the Command Center, instead of the wood print I got from Co/op. I still love that Co/op print, by the way, but I left the Walloh Design print that I got for the kids on that spot for a few days aaaaaand I ended up really liking how all that black and white goes with the rest of the items on that little desk. So I ended up asking Walloh Design to make me a similar print – with a “home” quote and portrait orientation instead of landscape. 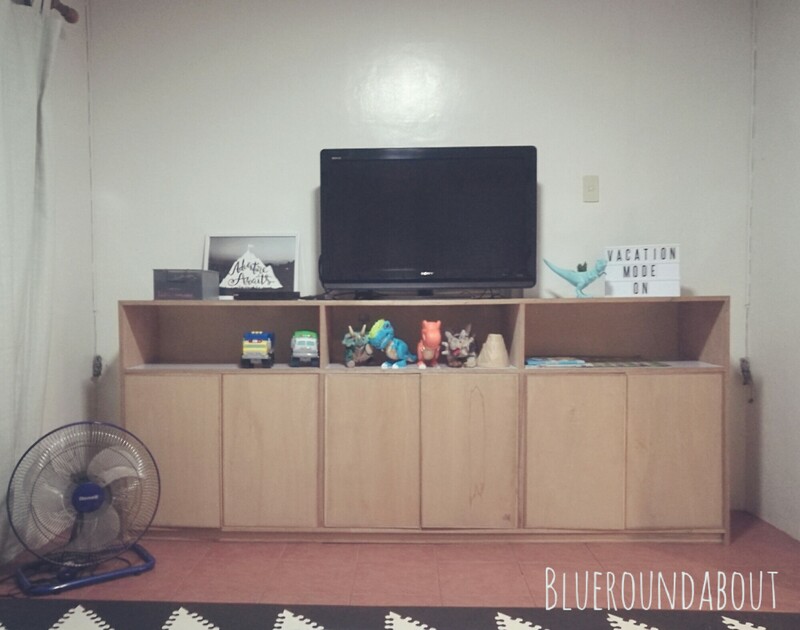 Then I kept getting distracted about other things like wanting to clear up the Command Center even more (it sometimes feels too busy and cluttered for me), and wanting to tackle the kids’ toy cabinet and that TV wall in the lanai-playroom…. FOCUUUUUUUS. I need to focus. The above distractions aside, I have been making headway on Phase 1 of Project Clean House. Almost done with the Command Center (except for where to put my dad’s mail), and this afternoon I move on to the kitchen – eeeeek. Is it possible to have a blog composed almost entirely of lists?! Like mine?! Hah. I can’t apologize – ‘ika nga nila sa Instagram: eh di unfollow! Heehee. 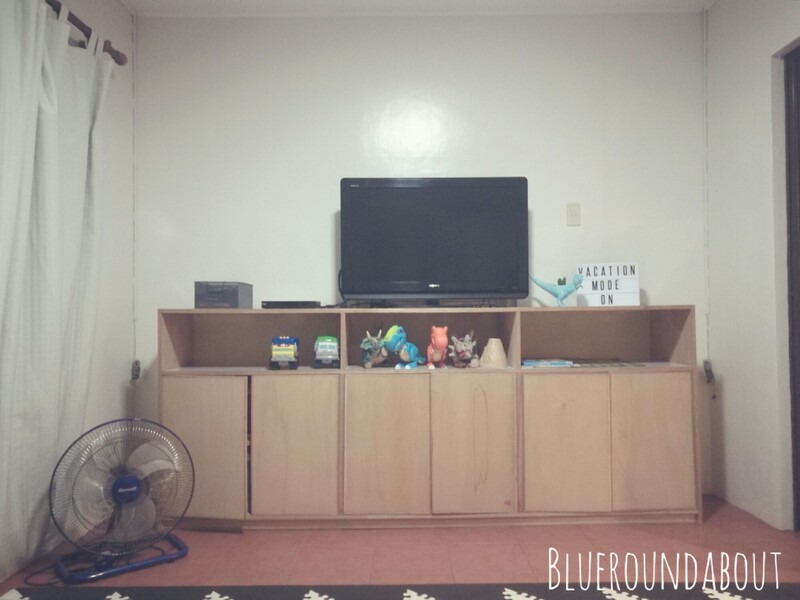 Paid remaining balance for our Manila Maker bunk bed – it has been delivered! 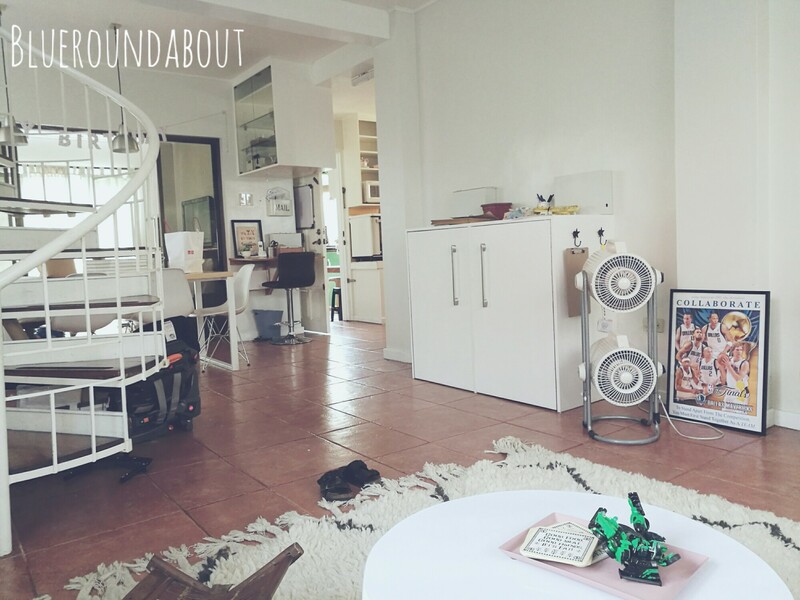 In spite of the (endless) plans for renovating and fixing up our home, our place suffers from one fatal flaw: clutter. I buy and buy, but I’ve fallen behind on the purging and decluttering and keeping things in order. Even if I have a system in place, I know I still have to supervise the household to make sure we all stick to the system. The H has asked me to finish cleaning out everything first before buying more things. He has a point. Some of the stuff I bought are still in shopping bags stowed away upstairs. I have to get my act together – I can’t improve the house without purging all the unecessary bits. And we’ve accumulated a lot of those even if we haven’t even lived here a year! 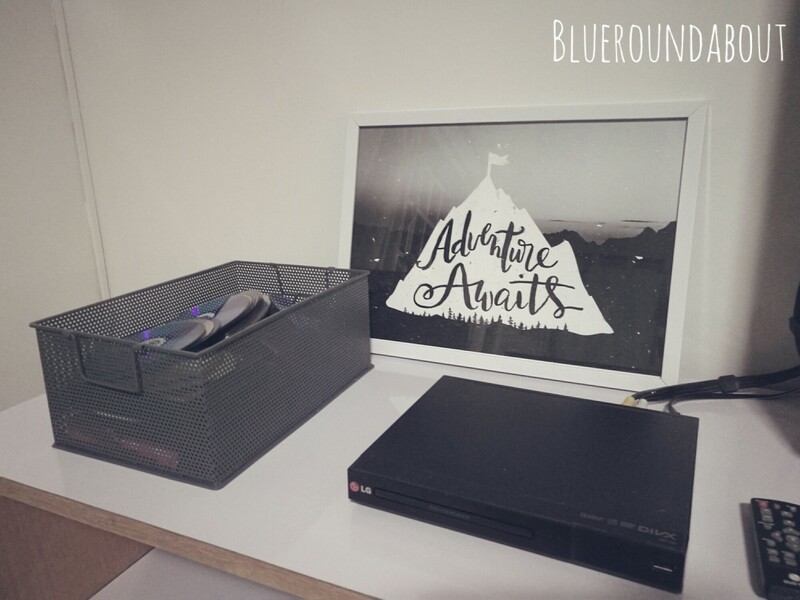 A few weeks back – I’ve cleaned up this area, for the most part, but you see where our clutter areas lie. I promised the boys I’d focus on what needs to be done now – with what we have and the clutter I can tackle – before I go back to thinking of what I can buy or new project to tackle. Oh, my lists are still there, and I definitely will go back to them, but right now, and especially after the service this morning and the H’s challenge, I promise my family I’m going to tidy up – KonMari, if you will. The mess on top of our toy/tv cabinet has always been the pile of dvds. I’ve tried using sleeves, binders, etc. for organizing the kids’ videos – but yaya and the kids have never followed whatever system I tried to put into place. So, I just decided to keep it simple: get a BOX. Doesn’t the print look a tad small though? I’m also reconsidering painting that wall dark – maybe a gallery wall would work better both for the size of this room and for taking the focus off the tv? Here it is without the print this time. I like how clean it looks actually (but please excuse the old hand-me-down fan). The good thing about the box is that they just basically toss in the pile of videos that used to sit beside the tv. It’s obviously not sorted, but at least it’s all contained in that box – easily accessible, in plain sight, but still hidden. Next, I’m going to sort the dvds and get rid of the ones the kids don’t watch. And notice, the Fisher Price chair is gone? Gave it to Luli this morning. In my list, I mentioned bins for the shelves in that unit, so it won’t look cluttered. I know there’s something about leaving pretty toys out on display, but I am going to set up Montessori shelves already. This unit is for toys – play toys not educational ones, so I’m keeping them out of sight (hence, the cabinets).